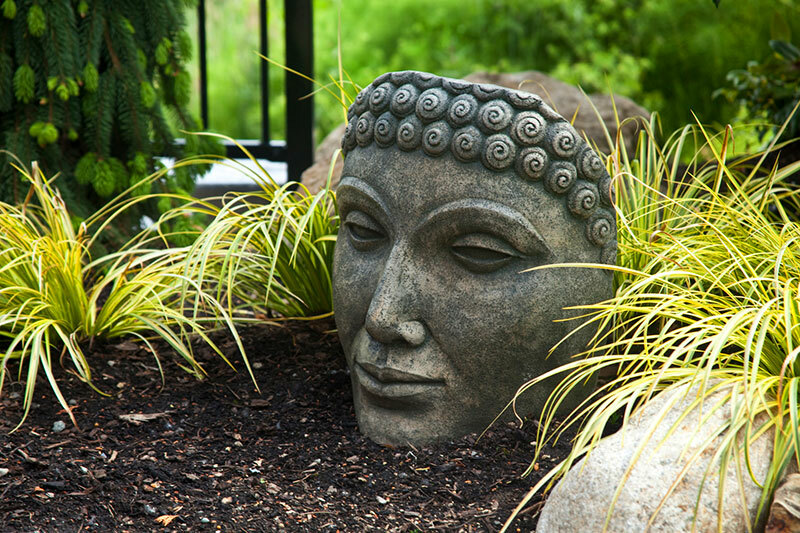 By incorporating special features into her designs, Shannon turns ordinary garden spaces into something personal and extraordinary. 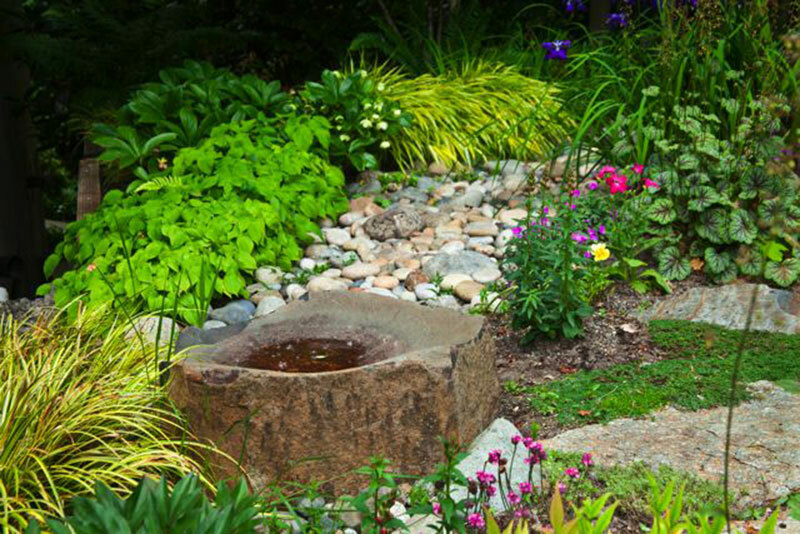 This hardscape dish rock is the main focal point for the dry creek bed and doubles as a birdbath. Bright golden Sweetflag makes this striking statuary come alive. 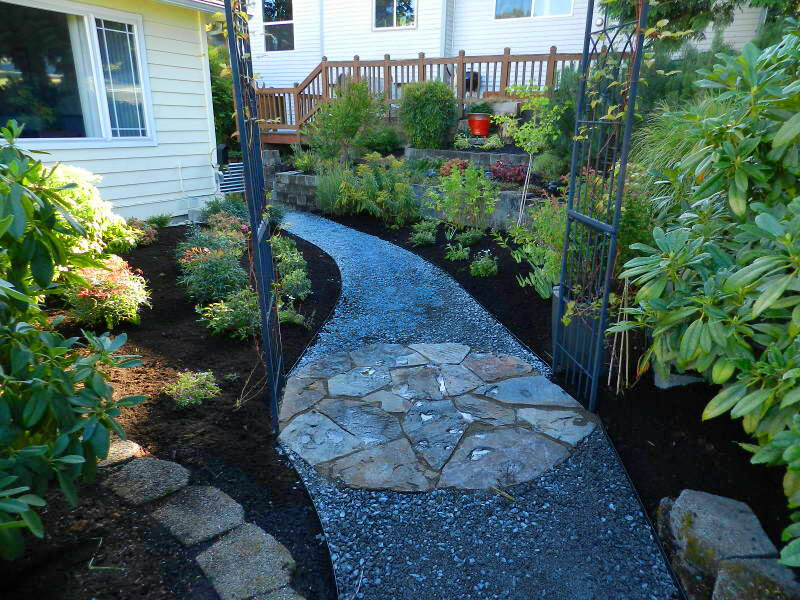 This pathway through the front yard became a functional work of art. 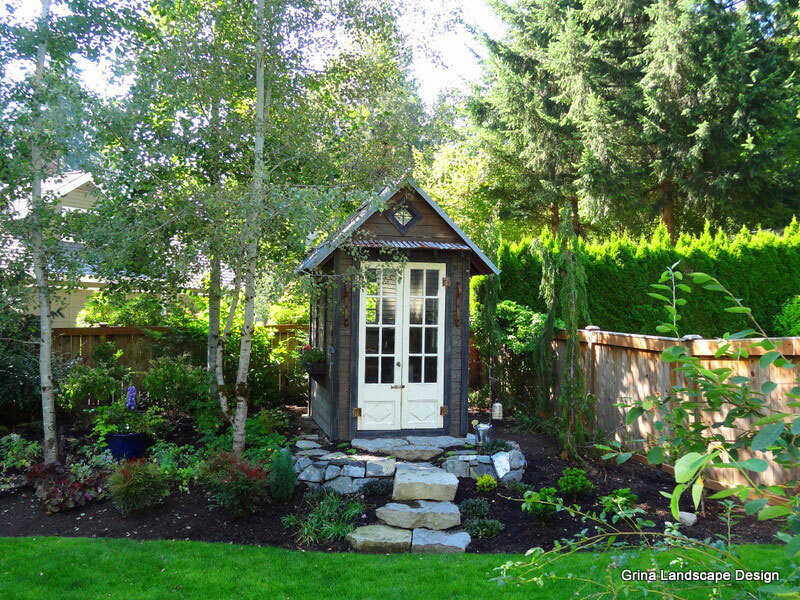 The garden shed becomes a special destination thanks to the hardscape and plantings designed specifically for it. 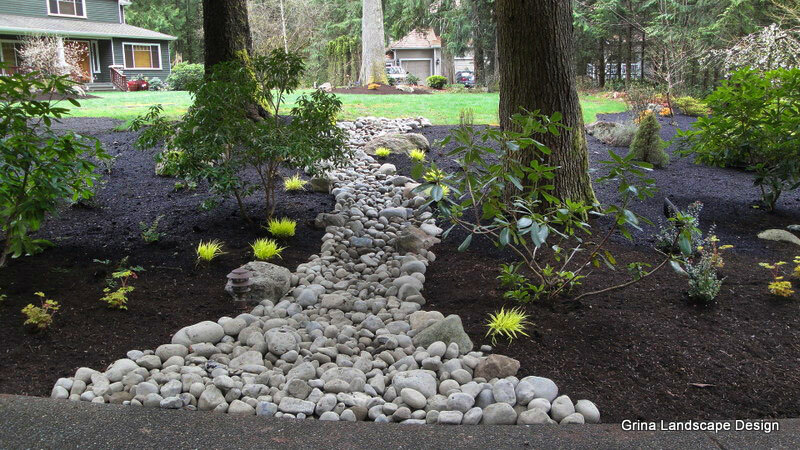 Dry creek beds break up large landscape beds into more interesting spaces. 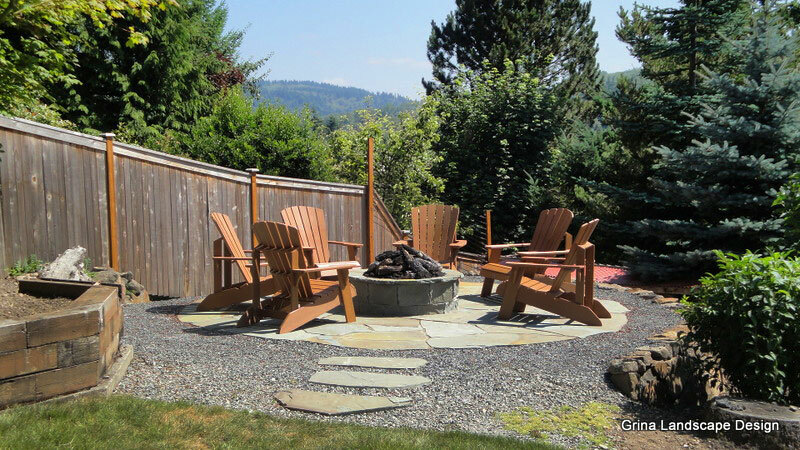 The previously unused area in this yard became an amazing fire pit patio. 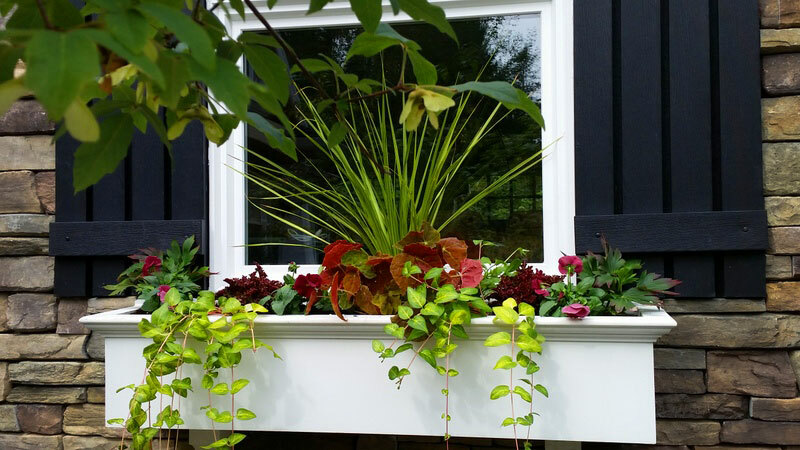 Easy care window box plantings add bright color to the front of this newly completed residence. 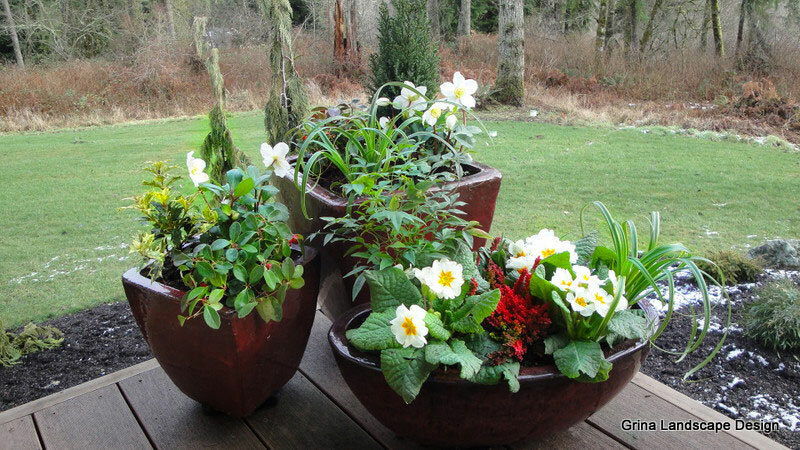 Plants selected for harsh winter conditions brighten this client’s deck on a cold, February day. 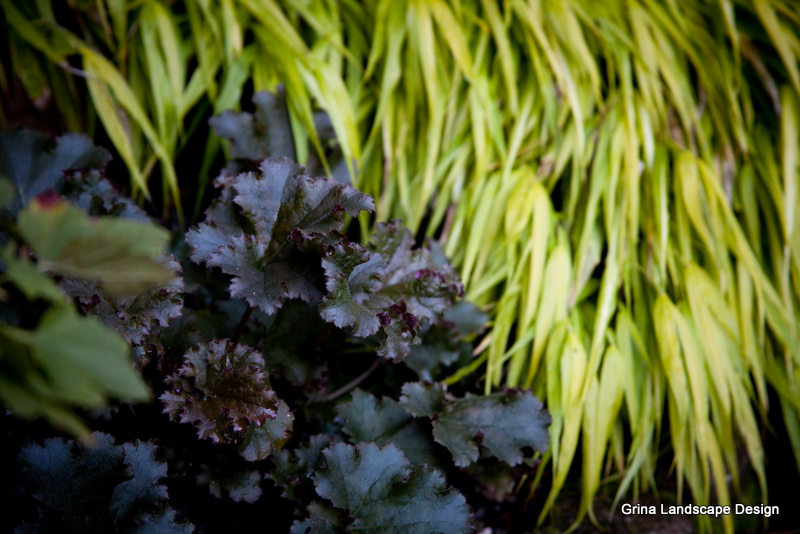 This combo of color and texture sets this garden apart. 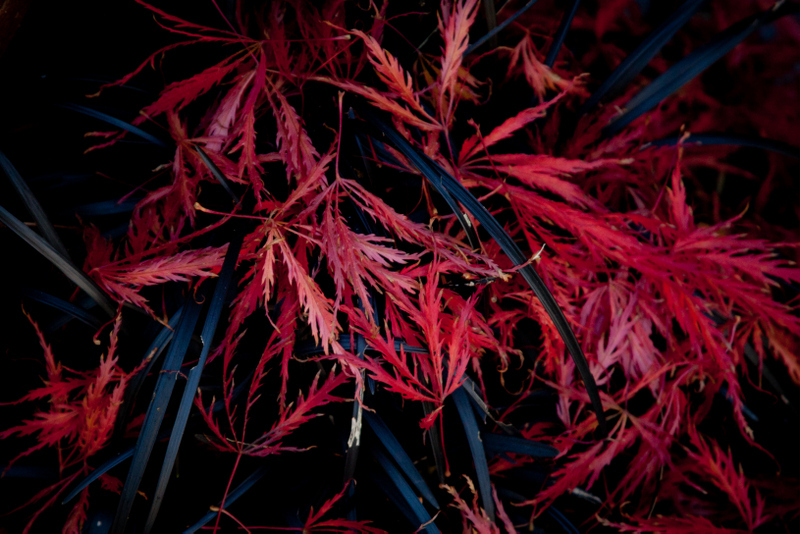 Thoughtful plant combinations can produce stunning results.